we need some sort of a neutral city. somewhere that can have allot of missions based in it, where humans can be killed for souls. 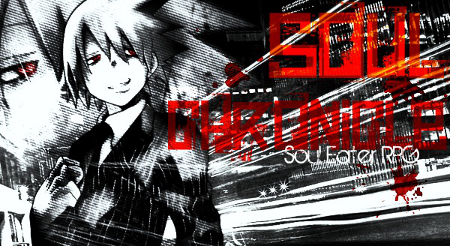 It is because the world of soul eater isn't just made up of witches, meisters, kishins and weapons. there are people that can be attacked and used to collect souls. ofcourse, the only place that kishins and dark weapons can do this as of now is death city, which is inhabited by many different threats to those looking to advance in their dark paths. The city could be named anything, and it'd be a place for many different missions to be centered around, it'd be a place with a larger market and more professions to purchase more advanced and specific items from. this would benefit each race as it'd be a place where kishins and dark weapons could collect souls. witches could shop here and meisters and weapons could shop and get missions here. Come to me that I may show you true despair.